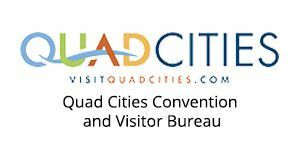 Before European settlers came to inhabit the Quad Cities, it was a home and principal trading place of the Sauk and Fox tribes of Native Americans. Black Hawk State Historic Site in Rock Island preserves part of historic Saukenuk, the principal village of the Sauk tribe and birthplace of its war leader, Black Hawk. In 1832, Sauk chief Keokuk and General Winfield Scott signed a treaty to end the Black Hawk War in Davenport. The treaty resulted in the United States gaining 6 million acres (24,000 km²) of land. As the Industrial Revolution developed in the United States, many enterprising industrialists looked to the Mississippi River as a promising source of water power, and the combination of energy and easy access to river transportation made the Quad Cities a natural location for industrial development. In 1848, John Deere moved his tractor business to Moline. His business was incorporated as Deere & Company in 1868, and today, Deere & Company is the largest employer in the Quad Cities. The first railroad bridge built across the Mississippi River connected Davenport and Rock Island in 1856. It was built by the Rock Island Railroad Company, and replaced the show seasonal ferry service and winter ice bridges as the primary modes of transportation across the river. Steamboaters saw these nationwide railroads as a threat to their business, and on May 6, 1856, just weeks after it was completed, an angry steamboater crashed the Effie Afton steamboat into the bridge. The owner of the Effie Afton, John Hurd, filed a lawsuit against The Rock Island Railroad Company. The Rock Island Railroad Company selected Abraham Lincoln as their trial lawyer. It was a pivotal trial in Lincoln’s career. It was after the Civil War that a common identity for the region first coalesced. 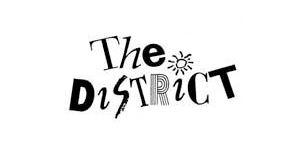 The river towns that were thoughtfully planned and competently led flourished while other settlements, usually get-rich-quick schemes for speculators, failed to pan out. The towns of Davenport, Rock Island, and Moline came to market themselves as the “Tri-Cities,” a cluster of three more-or-less equally sized river communities growing around the small bend of the Mississippi River where it flows east and west. 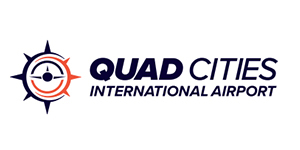 Beginning in the late 1970s, economic conditions caused the region’s main employers – agricultural manufacturers – to cease or scale back operations in the Quad Cities. Factories which closed included International Harvester in Rock Island and Case IH in Bettendorf. Moline-based John Deere cut headcount by one half. Later in the 1980s, Caterpillar Inc. closed its factories at Mount Joy and Bettendorf. 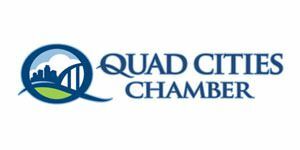 Since the 1990’s the Quad Cities government, businesses, non-profits and residents have worked hard to redevelop the region and have achieved national attention for their accomplishments. Davenport’s River Renaissance (a downtown revitalization project that includes a River Music History Center), an ag-tech venture capital campus, and the Figge Art Museum opened or were completed during the 2000s decade. Moline has also attempted renewal of what was once a robust downtown. The “John Deere Commons” facility and iWireless Center (then the “Mark of the Quad Cities”) both opened during the 1990s. In 2007, Davenport and Rock Island petitioned for and won the title of “most livable small city” from the National Council of Mayors, based upon an unfunded proposal called RiverVision. In 2008 Bettendorf, Iowa was listed by CNN.com as one of the ten best places to buy a house in the United States.